Home » Best Selling Gifts for Kids » The Hobbit: An Unexpected Journey Lego Board Game from Warner Bros.
For better or worse, Kids associate Holiday season with gifts. 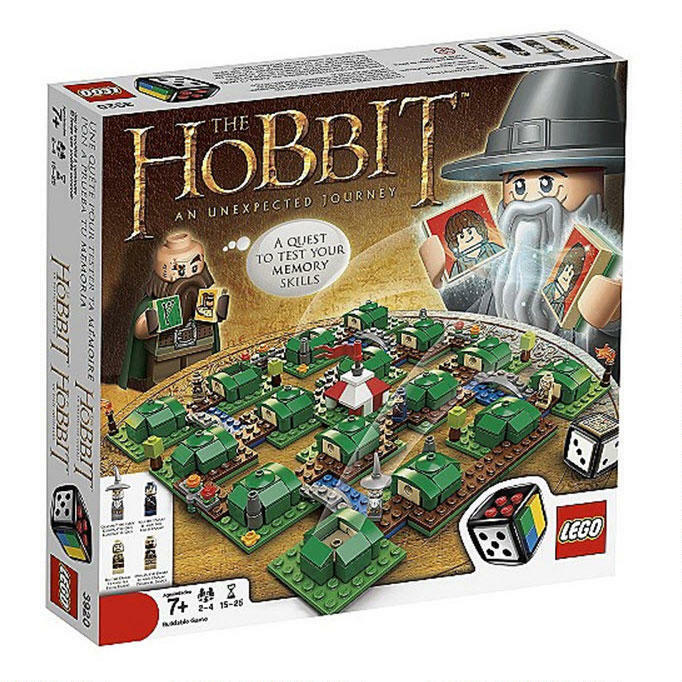 The Hobbit: An Unexpected Journey Lego Board Game from Warner Bros. is an ideal gift for any child in your life. This is a memory game with a twist. This buildable memory game is specially made for two to four players. The main purpose of this game is all about finding the missing dwarves who have become lost in Hobbiton. You can do this by using hints left by Gandalf and Grey and some of the hobbits to help you in your job of searching. If you are up to the challenge, you can transform the board during the game. This will probably test your memory skills to the absolute max and makes it more challenging and fun for all. It is easy to store and quick to take out to play again once the board is originally built. The game The Hobbit, or There and Back Again is inspired from the fantasy novel and children’s book by the English author J.R.R. Tolkien, which is better known by its abbreviated title The Hobbit. It was published in September of 1937. It was known for its critical acclaim even back then, and nominated for the Carnegie Medal. The book was awarded a prize from the New York Herald Tribune for best juvenile fiction as well. Celebrate Christmas season with this Lego game that will surely enhance and test your memory capacity to its highest level.